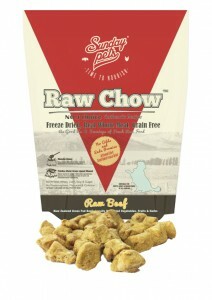 Sunday Pets Raw Chow Beef for Dog 1lb [SPRC81] - HKD290 : PetPetMaMa , The Best Products for our pets! Sunday Pets Raw Chow Freeze Dried Dog Food 1lb -Choosing Sunday Pets Raw Chow™ is choosing to live a healthier life for your pets. Our raw food was born based on the philosophy that dogs are not designed to eat the same type of diet as humans. Though dogs are not “pure carnivores” like feline, they still consume a mostly raw protein-dominated diet in the wild given by nature. Dogs in the wild do not consume a large amount of carbohydrates. Raw, grain free, rich in protein, low in carbohydrates is said to more closely mimic this natural diet. Our special slow 24-hour at less than (minus) -50°C freeze-drying process creates a light, crisp texture that appeals to dogs, and it preserves the aroma, flavor, and nutrition of fresh food. 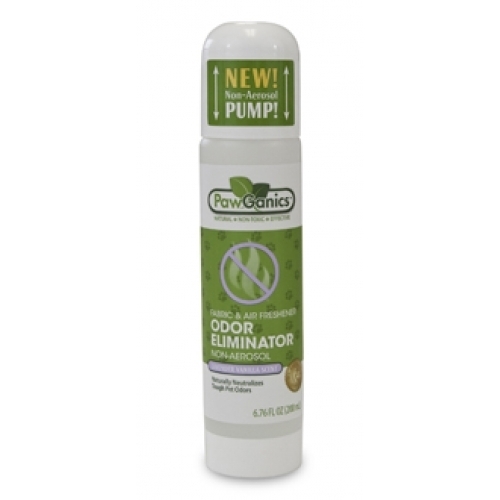 Your pet will enjoy the delicious taste of our nature while having the nutrients it needs to strive. Fresh Beef(min 89%) including Meat, Bone, Blood, Liver. Kidney, Heart. Vegetables(min 9%) including Carrot, Squash, Sweet Potato, Celery. Fruits(min 0.2%) including Apple, Blueberry. Egg(min 0.1%), Manuka Honey(min 0.07%), Green Lipped Mussel(min 0.07%), Kelp(min 0.07%), Flaxseed(min 0.07%), Fennel(min 0.04%). Nutritional Additives: Vitamins- Vitamin A 15 kIU/kg, Vitamin D3 2 kIU/kg, Vitamin E 400 IU/kg, Vitamin B12 0.5 mg/kg, Thiamine (Vitamin B1) 50mg/kg. Riboflavin (Vitamin B2) 45 mg/kg, Niacin 450 mg/kg, Pantothenic Acid (Vitamin B5) 50 mg/kg, Pyridoxine (Vitamin B6) 38 mg/kg, Biotin 1 mg/kg, Folic Acid 5.2 mg/kg, Choline 2700 mg/kg Ascorbic Acid 55 mg/kg. Minerals- Magnesium 0.1%, Manganese 27 mg/kg, Cobalt 0.47 mg/kg, Selenium 0.9 mg/kg, Iron 240 mg/kg, Zinc 200 mg/kg, Copper 26 mg/kg, Iodine 1.8 mg/kg. Ingredients Fresh Beef(min 89%) including Meat, Bone, Blood, Liver. Kidney, Heart. Vegetables(min 9%) including Carrot, Squash, Sweet Potato, Celery. Fruits(min 0.2%) including Apple, Blueberry. Egg(min 0.1%), Manuka Honey(min 0.07%), Green Lipped Mussel(min 0.07%), Kelp(min 0.07%), Flaxseed(min 0.07%), Fennel(min 0.04%). Nutritional Additives: Vitamins- Vitamin A 15 kIU/kg, Vitamin D3 2 kIU/kg, Vitamin E 400 IU/kg, Vitamin B12 0.5 mg/kg, Thiamine (Vitamin B1) 50mg/kg. Riboflavin (Vitamin B2) 45 mg/kg, Niacin 450 mg/kg, Pantothenic Acid (Vitamin B5) 50 mg/kg, Pyridoxine (Vitamin B6) 38 mg/kg, Biotin 1 mg/kg, Folic Acid 5.2 mg/kg, Choline 2700 mg/kg Ascorbic Acid 55 mg/kg. Minerals- Magnesium 0.1%, Manganese 27 mg/kg, Cobalt 0.47 mg/kg, Selenium 0.9 mg/kg, Iron 240 mg/kg, Zinc 200 mg/kg, Copper 26 mg/kg, Iodine 1.8 mg/kg.